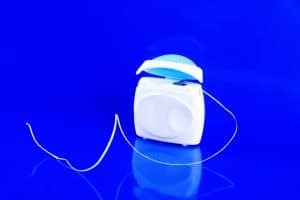 There might be oh so many reasons you’re not flossing! Maybe you used to floss your smile but you stopped. Perhaps you have never really flossed and, as a result, you don’t really think about it very much. Maybe you floss sometimes but you’re feeling frustrated with flossing, so you can’t seem to stick with it. Of course, our Livonia, MI team likes to remind patients that when this part of your dental hygiene presents any sort of problem or you have questions, you can easily get back on track when you check in with us for the help you need! As for those motivating factors you really should know about, we’ve got those, too! When you’re not flossing your smile, you’re not only putting your oral health at risk but you’re putting your reputation at risk, too! Well, it might not become quite that dramatic but you will most certainly notice that you’re going to become someone with bad breath. It will likely bother you and it will certainly be something that the people you communicate with on a daily basis notice. A bit of bad breath from certain foods is one thing. However, chronic halitosis that comes from missing bacteria and decomposing food from between your teeth and beneath your gumline, well … that’s quite a stinky situation. When you brush and floss (and you’re on top of your preventive care with our team, too), you’ll get that breath in order. As mentioned, when you’re not flossing, you’re leaving stuff between teeth. You’re leaving stuff beneath your gumline, too. Bacteria will not only feed on the food you miss but they’ll release acids into your mouth, which will affect the tissue they rest on or near. When this tissue includes dental tissue, you’re creating just the environment for decay to form! You don’t want cavities anywhere, including between teeth and at your gumline, so we strongly suggest flossing as part of your dental hygiene! True, bacteria will release acids that affect your dental tissue. In addition, if you think about the area they inhabit just beneath your gum tissue, you’ll recognize: The acids will contact your gums, too! When you’re not flossing as part of your dental hygiene, you’re promoting gum disease (so start flossing). Regardless of why you are not flossing, we can help you sort through the problems and arrive at a method that works for you. Just ask! James Stewart, DDS, and our team serve patients from Livonia, MI, as well as Farmington Hills, Farmington, Plymouth, Northville, Novi, Dearborn Heights, Dearborn, Garden City, Westland, Redford, and the surrounding communities. To schedule a consultation, call our office today at (734) 425-4400.